Exit ADA Sign with Braille - 2" x 6"
Allow all genders to have access to your restroom with the ALL GENDER RESTROOM Handicapped Sign. 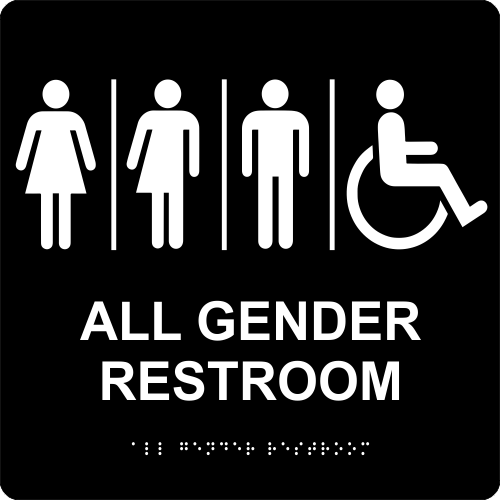 Includes pictograms for all genders as well as wheel chair accessibility designation. Standard black sign with white images and text. This sign measures 10" x 10" and is ADA Compliant with the Raised Tactile Lettering and Braille.